Philip Armitage began his career as a greenkeeper at his local golf course in Bingley in 1992. He then studied a HND in Golf Course Management at Reaseheath Agricultural College and developed his career as a greenkeeper at three of the best golf courses in the world during a seven year period: at the Belfry, Westchester Country Club and Pinehurst Golf Resort. In 2000 Philip returned to study at the University of Central Lancashire where he gained an Upper 2:1 degree in Turfgrass Science. Following his graduation he was appointed irrigation manager for Glenfarrow in South East England working in the amenity sector. Three years later he returned to Bingley to work for the STRI as an independent turfgrass agronomist in the South East of England. 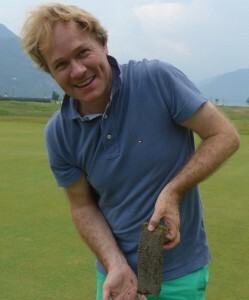 In 2010 Philip joined the European Turfgrass Specialists in order to develop his skillset further. Philip now provides impartial and modern agronomic advice to a wide range of clients located in various climatic situations all over Europe. His practical experience and qualifications give him an ideal platform to be able to support others located within the turfgrass industry.